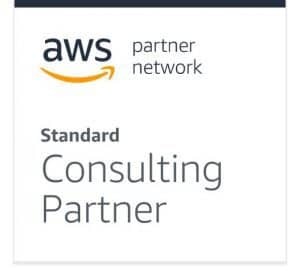 Trilogy has recently achieved AWS Consulting Partner status. Trilogy has been working with AWS (Amazon Web Services) since 2017 and our consultants are also AWS certified. A number of Trilogy customers, both public and private sector, use AWS as their public cloud provider. In 2017 AWS public cloud adoption increased from 57% to 64% according to a recent survey and enterprise adoption grew to 68%. Trilogy is one of just a few organisations in Ireland to have achieved this AWS Partner status. Trilogy is also a Consulting partner for the Public Sector. With our deep expertise, Trilogy is uniquely positioned to help you on your cloud adoption journey to design, architect, build, migrate and manage your workloads and applications on AWS. By migrating to the AWS cloud, Trilogy can help you shift focus from maintaining infrastructure to optimising operational efficiency and delivering business functionality. Trilogy’s Managed IT as a Service provides complete, centralised control and 24×7 support for every aspect of your physical, virtual and cloud infrastructure.